Place the prawns into a small bowl with a pinch of salt. Pour onto them the lime juice and zest and toss through. Set aside to marinate while you get the rest of the salad ready. 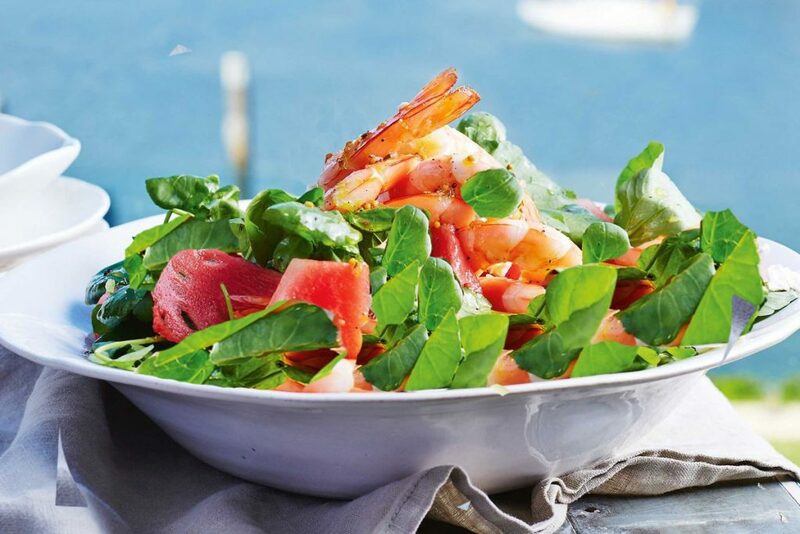 In a larger bowl, place the chopped watermelon, baby spinach, shallots and mint. Gently toss together, lastly adding to this the prawn mix. Place into a bowl for serving and sprinkle with sesame seeds to garnish.